You may not know this, but many of the team members you see in Total Wine & More are Certified Beer Servers in the Cicerone Program, ready to help you find the right brew to take home with you. We’re glad you asked! Think of the Cicerone Certification Program as the beer counterpart to the sommelier certification for wine. Since its founding, the program’s mission has been to provide better knowledge and training about beer and beer styles to professionals in the beer industry. The people this program helps inform range from brewers and brewery employees, to beer servers in restaurants and retail store employees where beer is sold. The program began in 2008, and today helps bring beer knowledge and professionalism to beer sales all around the United States. Now you might be thinking, this is all good and well, but how does that help me when I visit Total Wine & More? 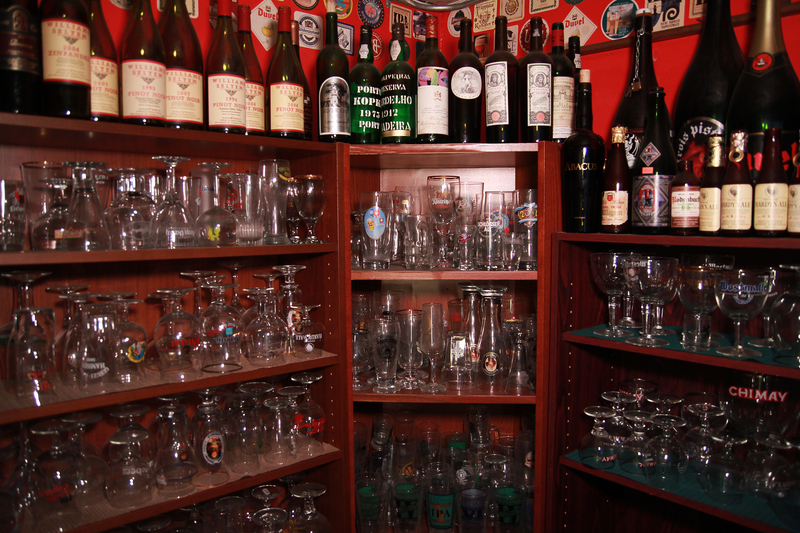 The answer is that it helps our team members assist you in selecting the right beer for any occasion. With 135 stores across 18 states, we now have hundreds of team members who are Certified Beer Servers in the Cicerone Program, and even a few Certified Cicerones. That’s more than a couple of team members per store who can help you with any beer question you may have. Looking for the perfect brew for a backyard BBQ that will please everyone? We can help. Maybe you love a specific beer style, such as IPA, and want to broaden your tastes with some new beers to try. Our team can help you find the perfect new brews to take home. 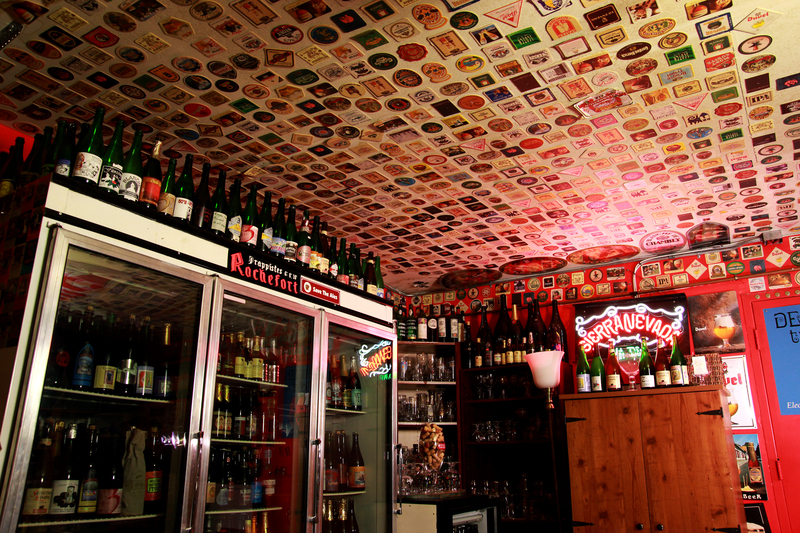 In some states, our Cicerone Certified Beer Servers take their love of beer to a whole new level. They not only help with the recommendation of the right brew, but they’ll perfectly pour fresh draft beer to fill a growler you can take home. Visit our Brewery District at select stores in Arizona, Delaware, Florida, Georgia, Nevada, North Carolina, South Carolina, Virginia and Washington to grab a 32- or 64-oz. growler of craft beer to go. You can even see our growler menu online at www.totalwine.com/whatsontap. So stop in and take advantage of our knowledge the next time you need to stock up the fridge or cooler. With American Craft Beer Week happening right now, it’s the perfect time to stop by and see your local beer team during the last weekend of our Total Beer Experience. See you soon! If you missed Part 1 of our interview with Dr. Bill, you missed half of an awesome conversation. Start there and we’ll see you back in a few minutes! Total Wine: What is your personal favorite food and beer pairing? Everyone really does want to know. Dr. Bill: One pairing that I think is absolutely amazing is also at the top of Garrett Oliver’s list. Although I often stray from Garrett’s pairing guidelines as I like to take pairings to the next level, there is no improving on a well-aged Colston-Bassett Stilton with an aged barley wine. The earthiness of the cheese with the caramel/toffee/winter fruit notes from the beer is seductively sublime! Total Wine: Last night we dreamed of a beer pairing dinner battle so awesome, only the top beer pairing experts could compete. The final of the competition was an epic battle between Dr. Bill Sysak and Garrett Oliver in an “Iron Chef” meets “Bobby Flay Throw down” meets “WWE Caged Match” type format. What meal would be your ideal theme and how would you defeat the great Brooklyn Brewery Brewmaster at this game? Dr. Bill: Ha-ha, I could say a 12 course fast food dinner because knowing Garrett I’m pretty sure he hasn’t had any recently. Seriously though the food doesn’t matter, as I feel I can pair any food in the world and I’m sure he feels the same. I recently did one of these with famous Canadian beer writer Stephen Beaumont where I beat him in a close competition. I will say it was also on my home turf though. All I would ask is to have the chef plan the menu and not delineate from it. Then give us both the option to taste and pair it prior to the event with a full quiver of 100 beers to choose from. I pair food and beer events without ever pre-tasting the food dozens of times a week for Stone accounts, acquaintances and fans. I know they are really good pairings but tasting the menu first allows you to go outside the box. A chef is an artist. If I selected 12 chefs and asked them all to cook a Wagyu sirloin medium rare over a parsnip puree with a red wine demi glaze and sautéed greens. We would have 12 different dishes, from the spice rub or lack thereof on the meat, to the amount of reduction, to the greens selected. Not to mention one of them may decide the dish would be better with a truffle butter on the steak. I like to take a completed dish and see where it leads me. I will always have a classic pairing in mind when I see the menu, but then I like to go all the way to the left and all the way to the right and find that unique pairing that sings to my palate. The bottom line is we would all be guaranteed a night of amazing food with exceptional pairings. Total Wine: We noticed that you also have an expertise pairing beer with cigars. Could you give some guidance, perhaps offering a suggestion or two of what cigars to pair with some classic beer styles? 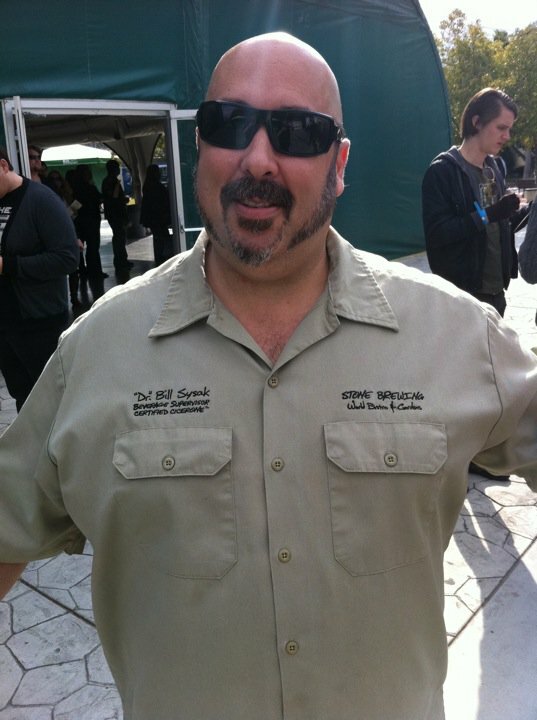 Dr. Bill: Yes although I’m known primarily for beer and food pairings I also excel at pairing wine, spirits, and cigars. I’m currently doing a Beer and Cigar Master Pairing Dinner here at Stone Brewing World Bistro & Gardens with our president and brew master Steve Wagner. I take two world class cigars, six courses and six beers and do this triangular pairing where the first cigar goes with the first three courses and first three beers and everything works with each other then it segues into the second half of the dinner. When selecting a beer to enjoy with your cigar, here are a few guidelines to enhance your pairing. Finding a beer that complements without overwhelming the cigar is the key to a perfect combination. The most popular kinds of beer to pair with cigars are Stouts and Porters. Strong, dark, malty or slightly chocolaty, stouts and porters pair well with many cigars. 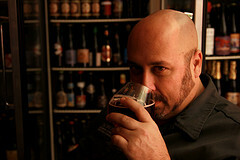 Other beers that work well with a number of different cigars are; Barley Wines, Old Ales, Belgian Quads & Strong Ales. If you can find them barrel aged, all the better. You don’t have to stop there though! If you have a medium strength cigar with spice characteristics, another option is to find an India Pale Ale, Saison, or Bière de Garde. These beers can hold up to many cigars. Note that double IPA’s with their higher IBU count (bitterness level) have a tendency to overpower some cigars. Lighter cigars with Claro or Candela wrappers pair well with beers as light as Belgian Wits or German Hefeweizens. The subtle springtime floral aromas of a candela when lit and the sweet grassy flavor work wonderfully with these lighter beer styles. Total Wine: Finally, are there any special projects you are working on right now? Can you leak some secrets to the Total Wine readers? Dr. Bill: As you know I always have a number of events coming up here at Stone Brewing World Bistro & Gardens-Escondido, but with our new Stone Brewing World Bistro & Gardens-Liberty Station facility coming on line this week expect some cool new events there especially for San Diego Beer Week and the addition of a couple of new festivals there in 2014. I’m also excited about the Gray Cloud Festivals being put on by the producers of the OC Brew HaHa. Why? Well because they are unique as the first Craft Beer, Artisanal Food, and boutique cigar pairing festivals where hundreds of fans can get together and enjoy themselves. They have a great charity named Yellow Ribbon America and guess who is doing all the pairings. Finally look for me to revive my audio podcast Expert Drinking. I’ll be adding a third person to the podcast that I am very excited about. Total Wine: Thanks again for all of your time, Dr. Bill. This was a very informative and entertaining conversation. Total Wine & More Celebrates American Craft Beer Week! Many cities have an officially designated annual “beer week” which gives craft beer fans many options to celebrate, enjoy and share in the community and culture of CRAFT BEER and the ability to connect with breweries and retailers who bring craft beer to market. 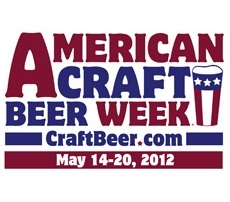 American Craft Beer Week (ACBW), The Mother of All Beer Weeks, is being celebrated May 14-20, 2012. This is an opportunity for beer beginners, enthusiasts, and self-proclaimed beer geeks across America to toast the advancing beer culture in the U.S.
Total Wine & More is part of this celebration with tastings, beer classes, and other special events planned during the week in stores*. You won’t want to miss our Hooray for IPA beer class, designed for hop lovers and beer thrill seekers alike. America’s love affair with hops cannot be satiated, but we’re going to try! Class is Thu 5/17 6:30-8:30PM, & Sat 5/19 3-5PM. Be sure to register with your local store⁺. In-store beer tastings will be held in most stores throughout the week featuring various local and regional craft brews⁺. Special events such as meet-the-experts and beer and cheese pairings in select stores⁺. And don’t forget, Total Wine’s new website lists all of the beers available in your selected store location. Search for beer by category including Ales, Lagers, Special Releases and Seasonals, also by Country, Beer Style, Ratings, Price, and more. You can search for kegs, too. Remember, you can special-order kegs with the store for your kegerators/party needs. Join us for our store activities, and raise a glass to American Craft Beer Week and to craft beer year-round!